On September 13, the Lifelong Learning Platform organised the project final conference, the “European conference on innovative assessment methods for validation” to present the results of the Innoval project which is ending this year after two years of implementation (2016-2018). 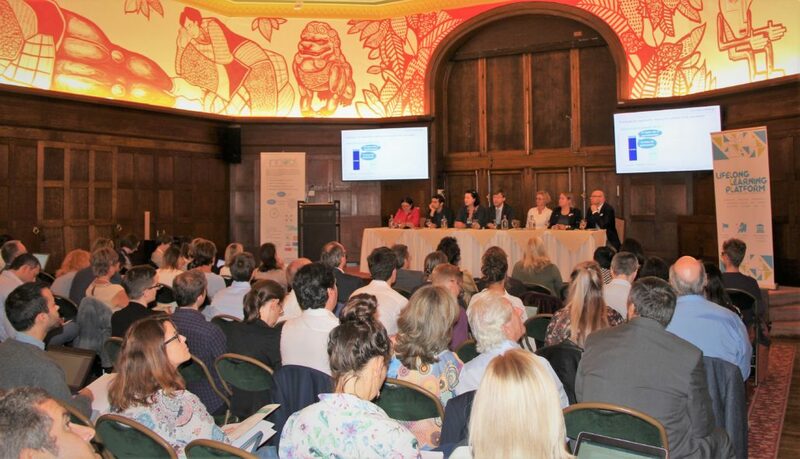 Around 90 participants from 18 EU countries and 2 non-EU countries enjoyed a full-day of conference and workshops animated by 15 speakers at the beautiful venue of the University Foundation in Brussels. This was a good opportunity to follow up on the validation festival organised by the European Commission in June 2018 and the implementation of the 2012 Council Recommendation on the Validation of non-formal and informal education (VNFIL). The Recommendation stipulates that all EU Member States should put validation systems in place by the end of 2018. The Innoval project focuses on new methods of assessment of which the goal is broader than just certifying skills, by also contributing to better include disadvantaged learners (unemployed, migrants, early school leavers, etc.) in the society and the economy. During the morning session, policy-makers and validation stakeholders at EU and national levels debated the implementation of the 2012 Council Recommendation on VNFIL, highlighting that the main issues and solutions have generally been well identified but what remains a challenge is the implementation of the Recommendation. It has been repeated that validation is a “lifelong” and “lifewide” issue as it concerns all sectors of education for individuals throughout their lives. The importance of the assessment in the process of validation and the need to move away from traditional examinations to increase the validity and acceptance of invisible and informal learning were emphasised. The new paradigm shift in assessment, and more generally throughout the entire validation path, is to be better adapted to the learner and combine a summative approach (certification) with a formative approach (counsell, support, training offer). New tools, such as the one developed as part of the MySkills Project (German PES), are now better fit and allow to offer the right job to the right person with the right skills. In some countries, the VNFIL implementation is lagging behind because some stakeholders still consider VNFIL as a threat to the legitimacy of formal education and degrees (Germany for instance). It is, however, possible with obstinacy to change the mindsets. For instance, a speaker shared their experience working with Trade Unions in Lithuania and their success in making them aware of the importance of validation. In other countries, the issue rather lies in the complexity of the system resulting in low uptake of validation (Sweden). The differences in EU countries’ validation arrangements make it fruitful to share and learn from each other but this possibility must be supported by the European Union through peer learning activities. Building the trust among stakeholders within the country is key and it highly depends on transparency as regarding to what is validated, why and how. 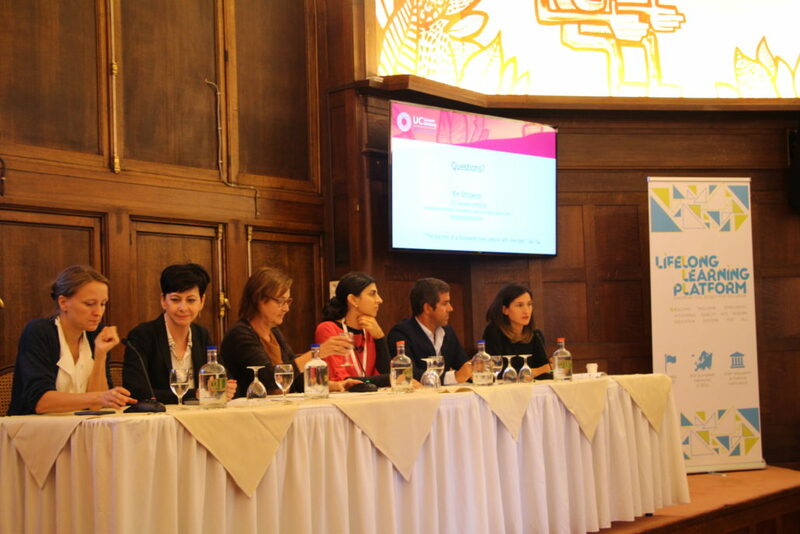 Further on, the Innoval project partners presented some innovative case studies collected during the project and the advocacy report with recommendations to practitioners and policy-makers. In the afternoon, participants were invited to join three workshops: 1) The barriers and enablers of adopting innovative assessment methods2) The different ways of assessing competences with concrete examples from Germany 3) The potential for upscaling in the policies of innovative approaches to validation. Based on the results from these workshop, LLLP will renew its advocacy efforts started as part of the InnoVal advocacy campaign initiated in Spring 2018 toward Member States and validation stakeholders. In the autumn, the secretariat will publish an issue of its LLLP insights newsletter on validation, showcasing interesting projects of members and partners and will prepare a Position paper on the thematic of 21st Century Learning environments.